The Nintendo Wii is on the brink of overtaking sales of the Microsoft Xbox 360 to become the biggest selling next-gen console on the market. The Xbox 360 was launched a year before the Wii, but booming Nintendo sales have seen the innovative console catch up fast. According to worldwide figures collated by a number of websites including VG Chartz , the Wii is now just 0.1 per cent behind the Xbox 360 in terms of market share. It's hard to gauge the exact sales figures, but VG Chartz says the Xbox 360 has sold 10.32 million units, with the Nintendo Wii at 10.10 million. That puts the Wii around only 220,000 sales behind the Xbox 360, a deficit which could feasibly be closed within the next few months. However, with Xbox 360 price cuts in the US and the launch of the Xbox 360 Elite in Europe in 11 days time , the 360 could be set for a heroic rearguard action. 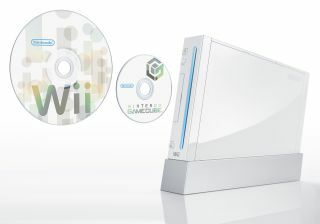 Can Xbox 360 fight back against Wii? The 360 Premium model is now also shipping with HDMI ports included, a feature previously exclusive to the Elite which launched in the US a couple of months ago. There are wistful rumours circulating the web that Microsoft is planning to release yet another model of the Xbox 360 as well. The new one is said to have an integrated HD DVD drive, which would certainly make good use of those new HDMI ports. It would also significantly help the HD DVD camp in its battle with Blu-ray to become the number one next-gen movie format. Incidentally, VG Chartz has the PlayStation 3 lingering far behind with 4.11 million units sold.